I hope you all have been enjoying the long weekend and are up to something super fun today. Since you’ll likely be out and about enjoying the weather (rather than sitting in front of your computer all day) I thought it would be fun to mix things up and bring you another pregnancy post. 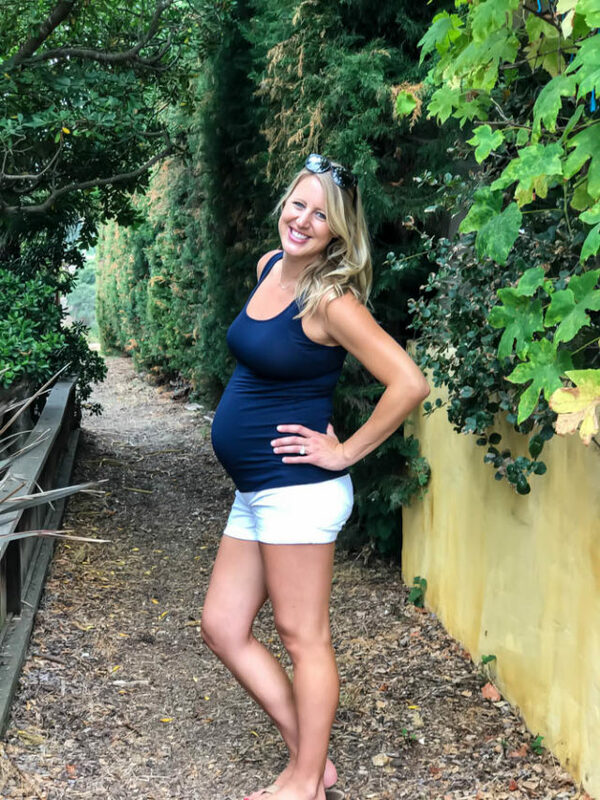 Today, I’m going to be talking all about my fit pregnancy! Although my focus here on the blog is mainly around food, if you follow me on social media you’ll know that working out is just as important to me as eating delicious things. I am all about balance, after all, and I make sure to work out almost every day because (a) it makes me feel good, mentally and physically, and (b) then I can eat all of the delicious things and not feel bad about it! I’ve always known that I wanted to continue working out as much as possible once I became pregnant, but I knew I’d have to mix things up a bit. Well, my workouts have DEFINITELY changed, but I’m really grateful for how much these new ways of getting a sweat on have opened my eyes to some different types of exercise that I actually really enjoy. What I most definitely didn’t plan on was not being able to work out for a good portion of my first trimester. You’ll have to forgive me if I’m diving into TMI territory here, but I feel it’s important for me to tell you why so others out there who may be experiencing the same thing don’t feel so alone. The hubs and I had planned on starting to try for a baby in the beginning of February, right after our 6-month “incubation” period passed from having been in Belize for our honeymoon. Belize is one of the areas that has been hit by the Zika virus, and the current recommendations from the CDC are to wait at least 6 months before trying to conceive to ensure that, if you happened to contract Zika while abroad, it had passed through you and your partner’s system. I had been on the Pill since I was in high school (originally going on it for terrible periods), and my OB had recommended going off it a few months before we planned on starting to try so that my body could get back on track with normal periods. So, according to “the plan,” I went off of it in December and we started using alternative forms of birth control. Starting in January, I began experiencing REALLY heavy periods. We’re talking heavier than I had ever experienced when I was in high school and had originally gone on the Pill in the first place. At first, I shook it off, telling myself it was just my body getting used to not having the constant flood of hormones from the Pill, but when I got another heavy period just 21 days after my first one, I decided to talk to my OB about it. I wanted to make sure there was nothing we needed to worry about since we were going to start trying soon! My OB wasn’t too worried, but she recommended that I get an ultrasound done, just in case. At the end of February, after my second heavy period had passed, I went in to get the procedure done. What the radiologist saw came as quite the surprise – there was a little something that looked like it could be a cyst, which could have been causing some of my problems, but…..there was also a fetus! And since there was a detectable heartbeat, that meant that I was already about 6 weeks along. You can imagine how stunned and surprised I was with that news!! Even though we were elated to find out we were already expecting, unfortunately that was not the end of my bleeding, and I continued to have heavier-than-normal spotting about once a week until I was just over 10 weeks along. You can imagine the fear and terror we experienced every time it happened, wondering if I was having a miscarriage, if something was wrong with the baby, etc. but luckily every time it happened and I went in to get checked, baby girl looked perfectly happy with a strong heartbeat. Nevertheless (and the moral of the story that I am finally getting to), I was ordered to take it easy and not work out while all this was going on…I couldn’t even go for walks! Which, as you can imagine for a lifetime athlete, was not easy for me. The good news is, ever since the first trimester, this pregnancy has been smooth sailing for me (knock on wood, still have 8 weeks to go!) and I have been able to figure out a workout routine that works for me and baby. So, without further ado, here’s all that I’ve been doing (and what I’ve changed) during my #fitpregnancy! Sweat with Kayla App five days a week, which includes three high intensity strength workouts, two LISS (low intensity steady state) workouts and two to three rest and recovery workouts. 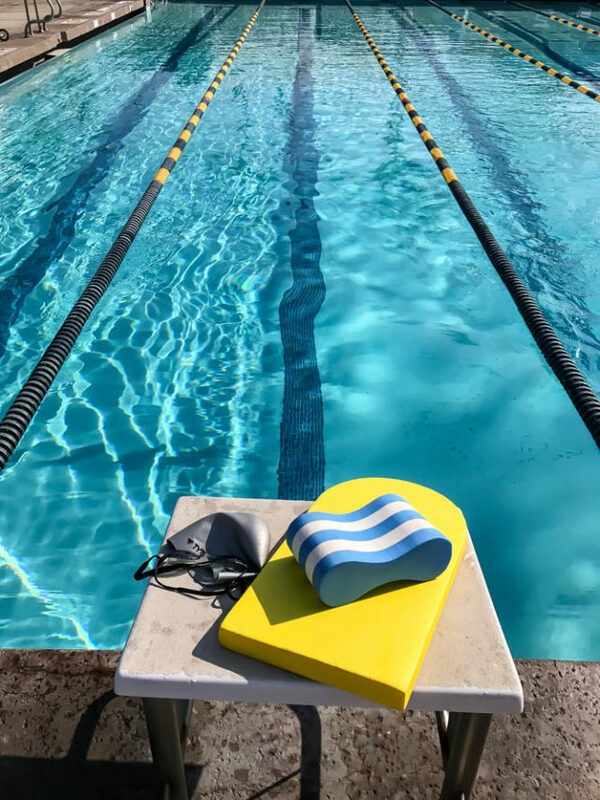 Two days of swim workouts – about 40 minutes per day of medium intensity lap swim. I must say, if there’s ANY way you can get in the pool, DO IT! It feels amaaaaaazing and I feel like I get my best workouts in this way. The water is my preggo body’s new best friend! Two days of light weights and non-impact cardio – One day upper body and one day lower body, switching to lifting at a much lower intensity than my Sweat with Kayla workouts, lighter weights and higher reps. Each light weight lifting session (about 25 minutes) was followed by 20-25 minutes of medium- to low-intensity cardio such as elliptical, walking on the treadmill at an incline or stationary bike. 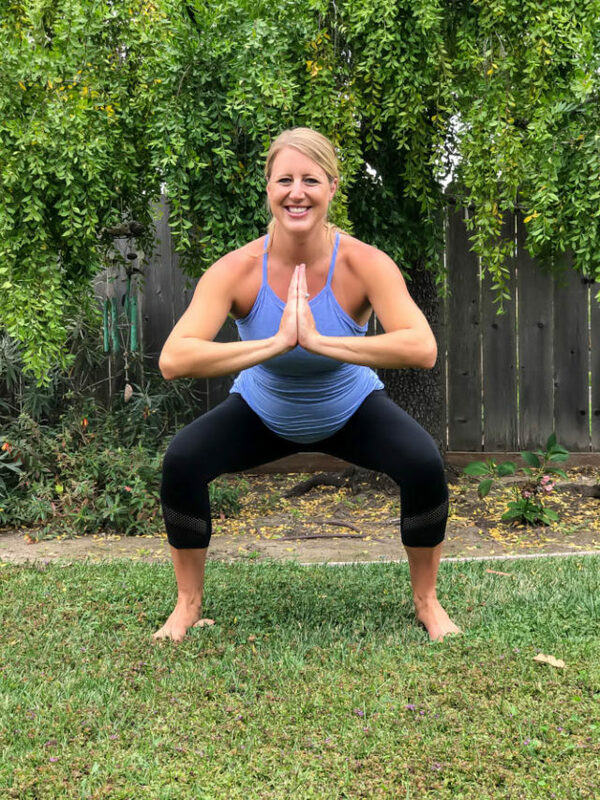 One day of Prenatal Yoga – I tried out a few different studios that offer Prenatal Yoga in my area and got a feel for what style I liked best. I highly recommend going to a class rather than trying to do it on your own with YouTube videos, etc. because you get the chance to meet other preggo mamas in your area and hear about their experience/what they are going through and share how you are feeling as well. However, if you’re in a crunch and don’t have the time (or budget) to make it to a studio, free online videos are certainly better than nothing. Having never been a passionate “yogi” before, I must say that I feel my current practice is really preparing me to have an easier, more mindful labor and delivery and I have learned a lot about how different stretches and poses will help. Still doing two days of swim workouts (about 40 minutes a day at medium intensity) and trying to sneak in a third one whenever I have the time because it feels soooooo good. Cut back to just one day in the gym doing about 20-30 minutes of strength training (now combining lower and upper body on the same day, still doing more reps with less weight) followed by about 30 minutes of lower intensity cardio, such as elliptical, walking on the treadmill at an incline or stationary bike. Increased to TWO days of Prenatal Yoga per week to really help stretch out all my sore muscles and prepare myself as best as possible for the birthing process. 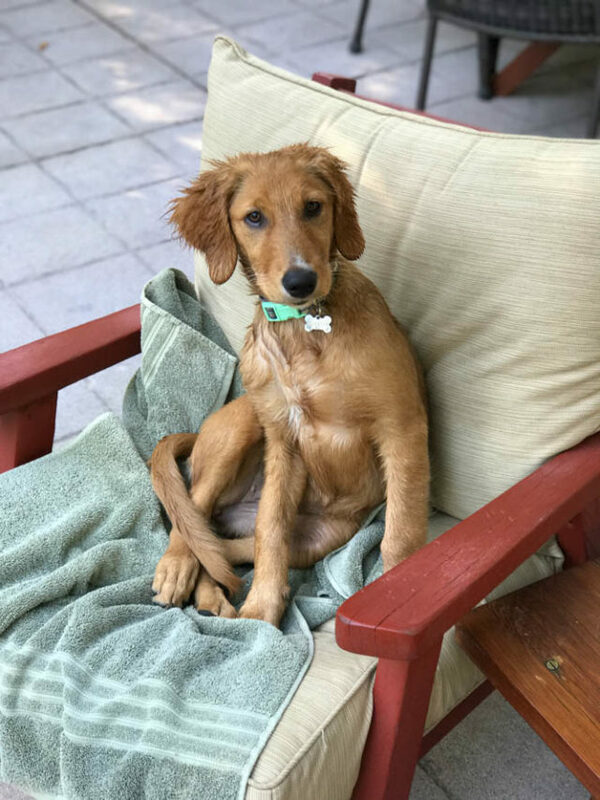 I do also want to add that, ever since we’ve gotten our little fur baby, we usually go for about a 20-minute walk every night after dinner. Not only is this great for my digestion, it’s a great time for the hubs and I to connect and to tire out the pup so she sleeps through the night! I’m looking forward to continuing my workouts as long as possible, but I’m trying to be really aware of listening to my body and giving it what it needs on any given day. Tell me, what are your favorite ways you’ve stayed fit during a pregnancy? Is there anything I’m missing?? On Wednesday, I asked if any of you would be interested in some maternity-focused posts, and the answer was an overwhelming yes. 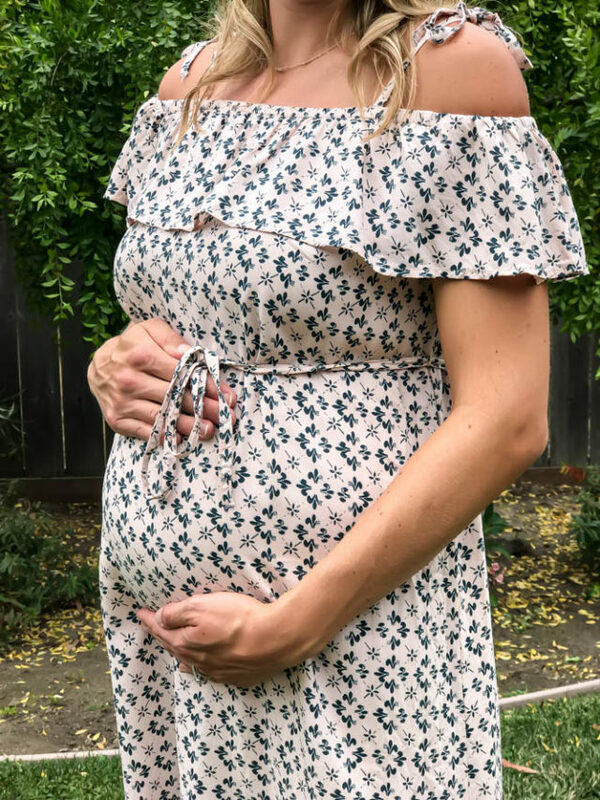 I’ve got a long list of topics I hope to share with you, but for this first post I thought I’d start off where most ladies’ minds roam to as soon as they get pregnant – where to find the best maternity clothes! 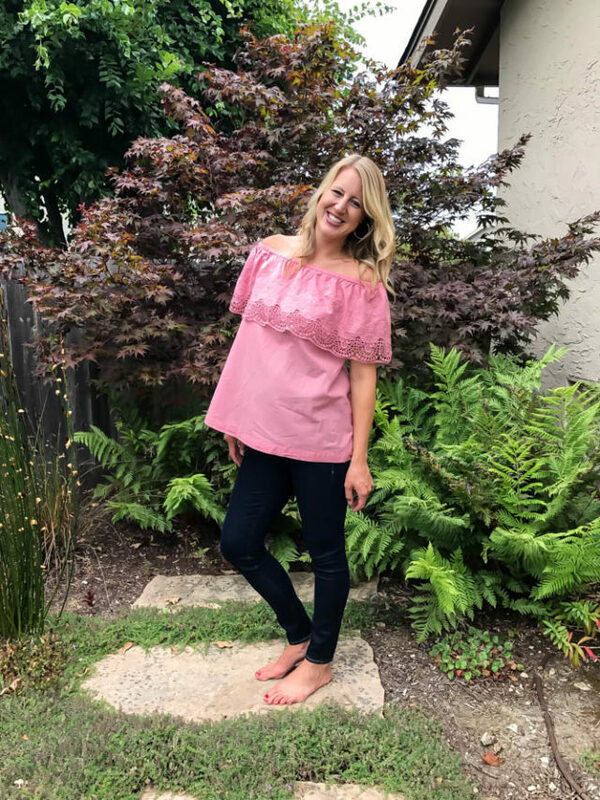 Get real moment: When I first started looking for maternity clothes – which for me wasn’t until about 14 weeks or so – I was a little disappointed. First off, I felt like none of them were my style, and that in fact they looked like something someone about 10 years older than me would be wearing (and ladies, I’m 32!) Yes, there were a couple of brands with incredibly cute things, but they were GD expensive and who wants to shell out hundreds of dollars for clothes they will only be wearing for a few months? Not this gal. Then the second challenge was my height and build. I’m 6’2”, with a very athletic build (i.e. strong quads and broad shoulders) so, although over the years I’ve found which REGULAR clothing brands fit me best, this maternity style was a whole new world to me. It took a lot of research (and ordering things online then returning them) to figure out which affordable brands worked best for my body type. One of the things that has been most helpful to me in deciding what I need as far as maternity and nursing clothing, what we need to have on hand for Baby D. right when she is born, etc. has been suggestions from new-parent friends and other bloggers. 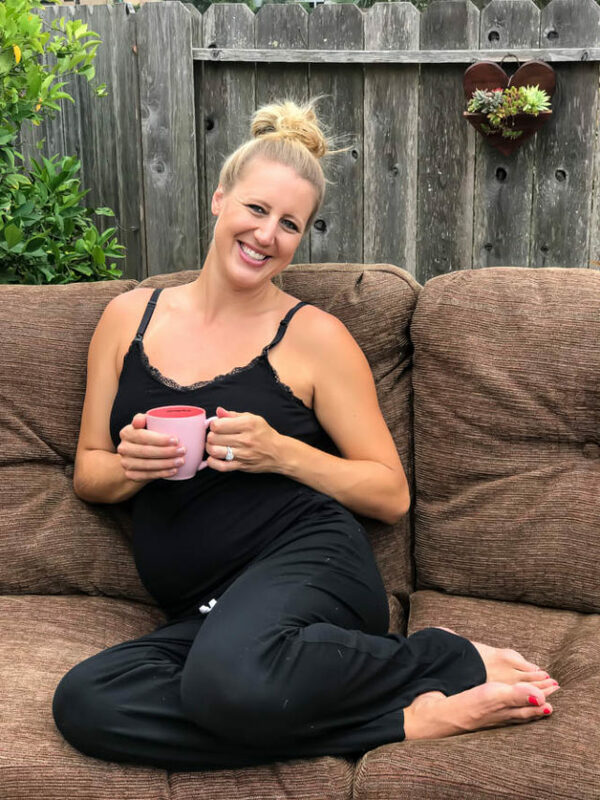 My hope is that this post of what I’ve personally found to be my own functional maternity style will help many other expectant mammas out there as they embark on this exciting journey. So, without further ado, here are some of my favorite wardrobe pieces and resources so far! Old Navy: Maternity Premium Full-Panel Rockstar Jeans and Maternity Full Panel Skinny Jeans in White, both in LONG! The white aren’t available at the moment because we’re going into fall, but keep an eye out for them! Gap: Great options for affordable workout tops and bottoms. Old Navy: I haven’t bought any workout tops from them, but I have about three pairs of leggings from them that I love! They’re a really good deal (especially if you can catch a sale) and there are lots of fun color and design options available, so you’re not stuck with plain black. Lululemon: They don’t offer maternity clothes (yet!) but some of my absolute favorite things I’ve been wearing throughout my pregnancy have been from there. As soon as you find out you are pregnant (and even if you’re not), you HAVE TO invest in some Lululemon Align Leggings. They are THE BEST!! I love them so much and they are soooo comfortable. I went up one size from the size I normally get there to be safe but you may even be able to wear your normal size throughout your pregnancy. I have also been wearing a lot of their Cool Racerback Tanks, just in a couple sizes bigger for extra length. Kohl’s: I honestly went to the Kohl’s website first to check out Lauren Conrad’s line of maternity clothes, but ended up buying this Off-the-Shoulder Babydoll Dress and the black off-the-shoulder top in the photos (sorry, no longer available) from the a:glow brand instead. I love them both! 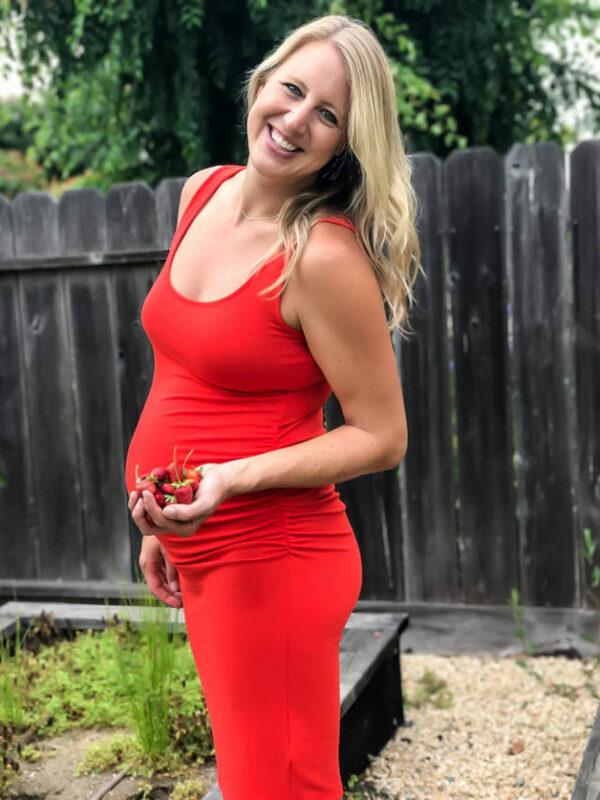 Athleta: Again, not maternity clothes, but I have basically lived in my black maxi dress with built-in bra from them and I’m also still able to fit in my white linen pants (that conveniently have a drawstring waistband AND an elastic band for extra coverage.) 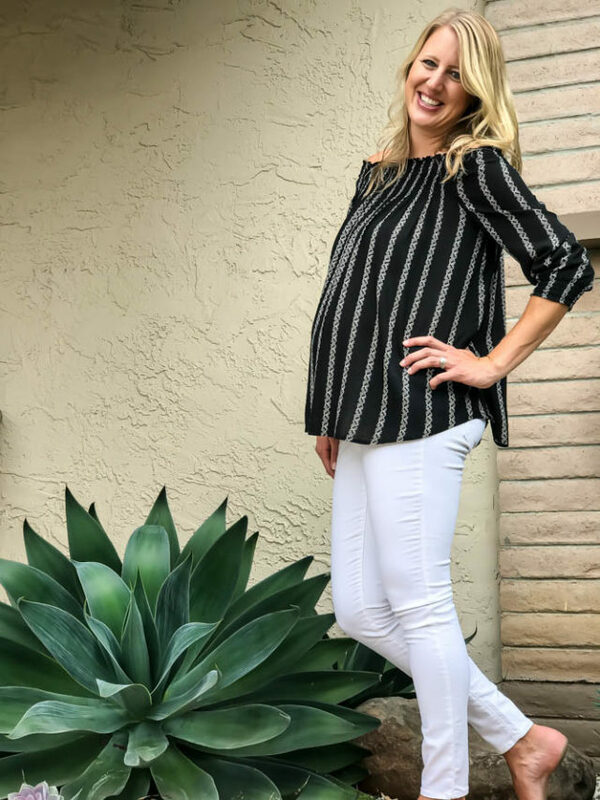 I had bought both of these things in Tall from them a couple years ago and, although they’re no longer available, the website is worth checking out for things you can wear through maternity and beyond! Old Navy: Basic tank dresses like this red one. Dresses have been THE most comfortable thing for me to wear throughout this entire pregnancy! ASOS Maternity: This website is such a gem! I don’t have photos of anything I’ve gotten from them in this post, but if you’ve followed my Insta-stories you’ll have seen I bought my baby shower dress there. Not only do they carry TALL maternity sizes, they also have a fantastic return policy and their pricing is spot on. Definitely check them out! Old Navy: I bought this tropical-inspired maxi pictured here on a whim and have received a ton of compliments on it. It’s no longer available but keep your eye out because there are always new styles coming online! 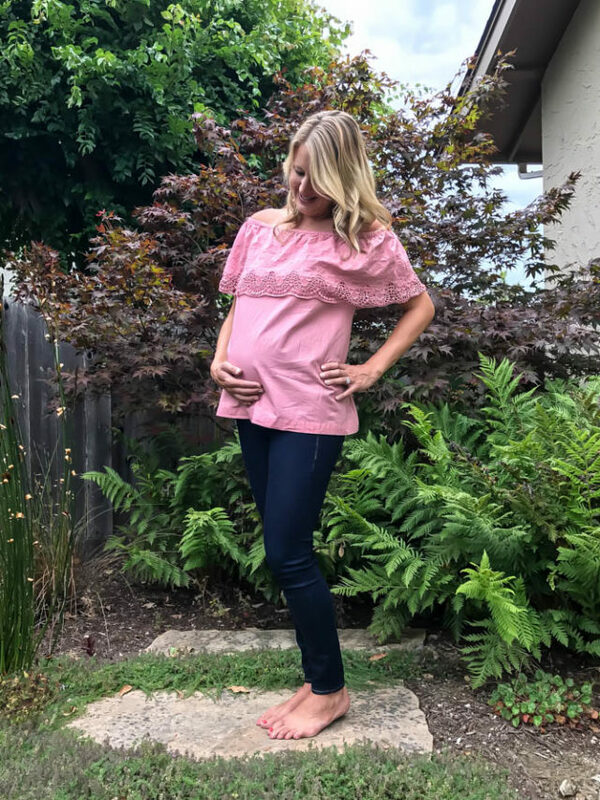 Flash Sale Sites: Some of my best resources for stylish maternity clothes (at a slightly better than normal price) have been flash sale sites like Gilt, RueLaLa and HauteLook. 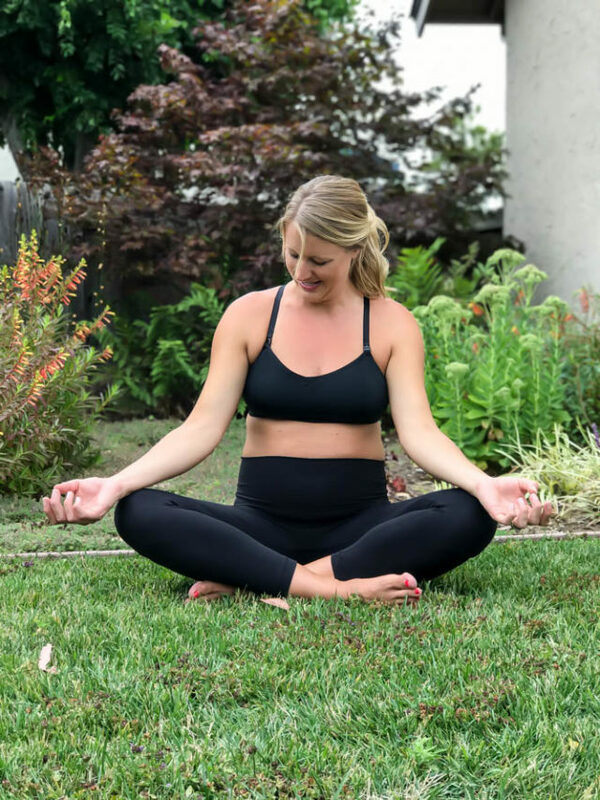 Motherhood Maternity: I have three of these Sport Clip Down Nursing Bras that are soooo comfortable and I wear them all the time to work out. I also really love my Lace Racerback Nursing Sleep Bra from them AND this is the only place I’ve been able to find comfy maternity strapless bras! *Tip when buying bras during pregnancy: Always go for a nursing, not just a maternity, option so you can get a few more months of wear out of the bigger sizes you’re forced to get due to your rapidly changing body! I have not included regular bras in my suggestions here because I feel they are such a personal decision. I highly recommend finding a store with a big selection that you can try on. This is one thing I splurged and went to our super-expensive maternity store in Santa Barbara for. J. Crew: Dreamy Pant in Black, Tall. Again, these are not maternity, but (a) I love that they come in the long inseam and (b) they are soooo comfy. Plus, they’re forgiving and stretchy so you can grow into them as your pregnancy progresses! H&M: Did you know that H&M has a maternity line on their website? Great for cheap, trendy basics, and I fell in love with their MAMA Boy Shorts. And yes, you will be growing out of your chonies along with all of your other clothing! Plus, these will be great for immediately post-pregnancy as well with full coverage and a lower waistband. Those are all of my favorites so far! Did I miss anything? If you’ve already gone through the whole pregnancy thing, what were some of your favorite resources for clothing? Share in the comments below!